Producers, ask about voicing 45s! As always fast turnaround, release-quality recordings and best prices! 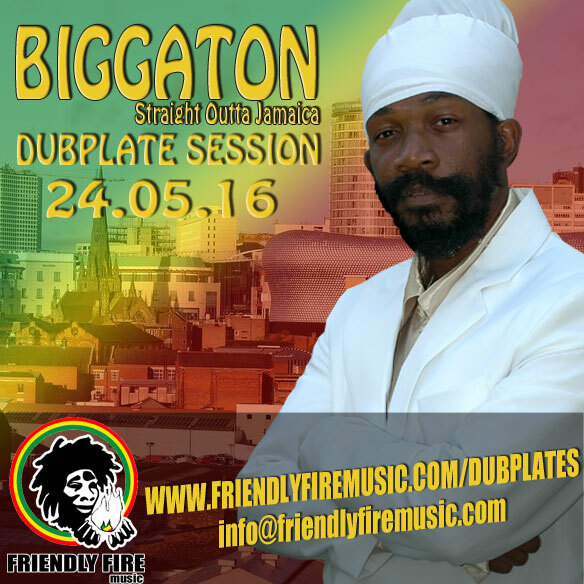 We are offering a special offer on Biggaton dubs this month, with an exclusive price for members of this mailing list. 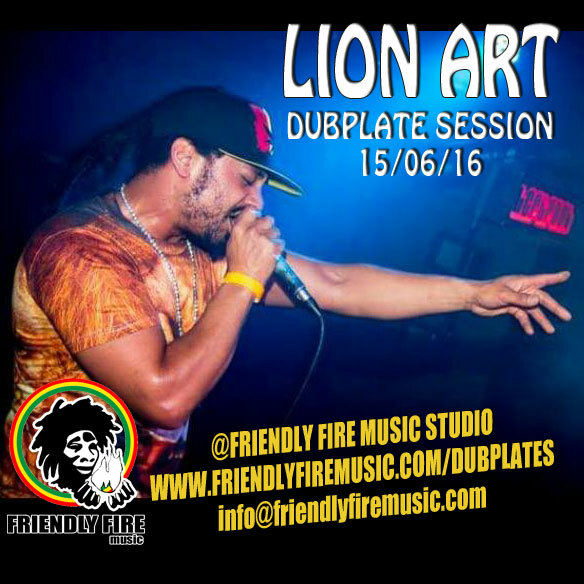 Check the JAM JAH DUBPLATE he recorded in february, and the download links below. Son of the great Alton Ellis, Christopher Ellis has inherited the talent! Prince Alla needs no intro as a Roots Legend, with tunes like Stone and Bucket Bottom amongst so many others! He is currently working on a new album, and he has preserved his distinctive voice. 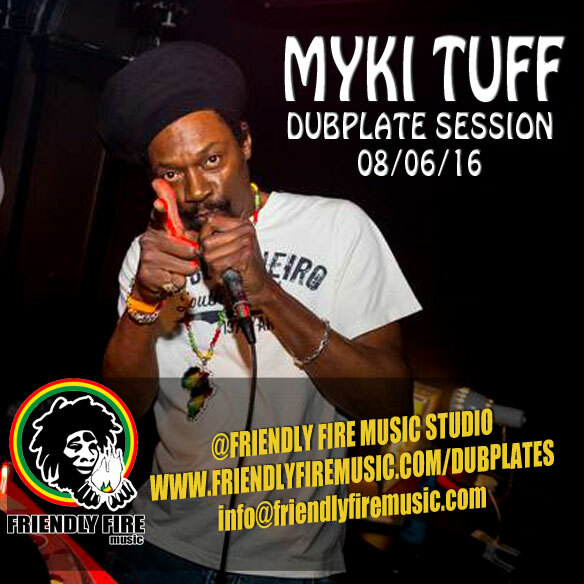 Original 90s Birmingham MC from Wassifa and bass player for Salem Foundation, Myki Tuff is a huge part of the international reggae scene, and one of the MCs with the most lyrics who most anyone who was about in the late 80s/early 90s would remember. After concentrating on touring around the world playing bass, he is back on the vocals, and has been working withFriendy Fire Band on new material. Part of the Friendly Fire Stable with tunes like Welcome to Holland, Legalize it, or more recently Run Away and the acclaimed Natty Love on the riddim of the same name, Lion Art has also been performing and recording with Born On Road and Chopstick Dubplate, with the hit tune Chem Trails, and making more and more waves on the scene with his controversial lyrics and high energy. 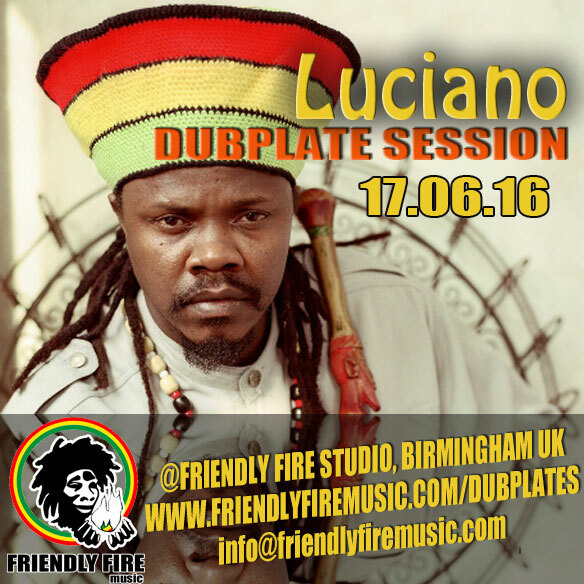 The messenger needs no introduction – as well as having a plethora of hits behind him, Luciano is know for his amazing performances, and for being diligent in the studio, coming up with spotless dubs. 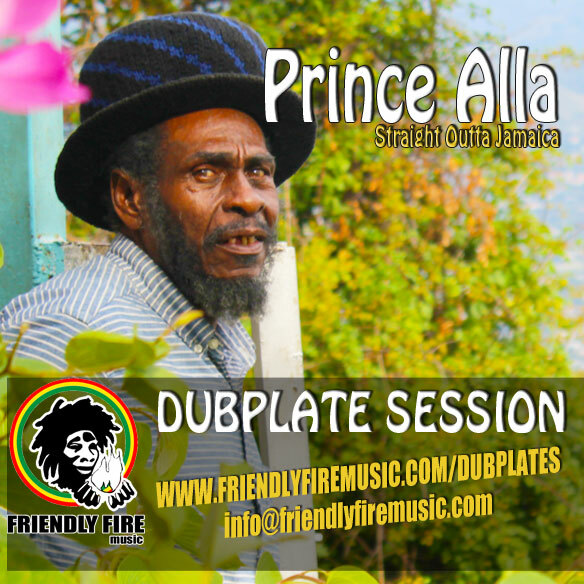 He will be live in Friendly Fire Studio before his Birmingham performance. Ask about voicing 45s / Singles / releasable tunes! Please let us know what other artists you would like in the studio, and feel free to forward and share this email using the links below!